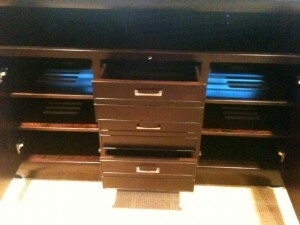 Over the years, our customers have asked us to build larger TV Lift Cabinets to accommodate their 60” TVs. We have listened. Two years ago we introduced the first cabinet to hold a 60” TV: The Banyan Creek XL. The Banyan Creek XL has been well received and is becoming one of our best sellers. However, the Banyan Creek XL only appeals to our more traditional styled customers. 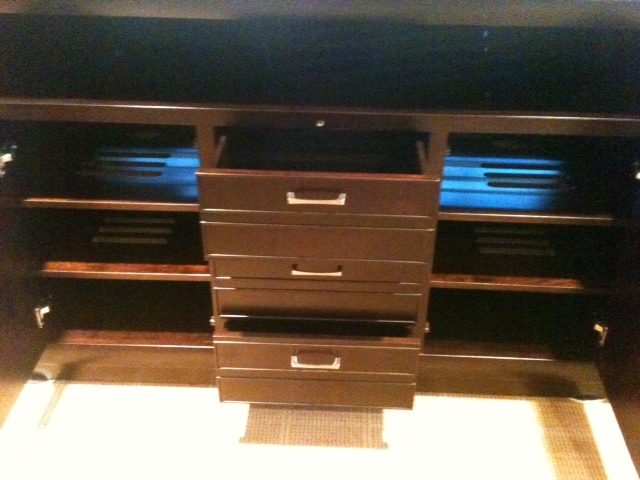 We were still missing a cabinet that appealed to the customers with modern/transitional style. That is until now. 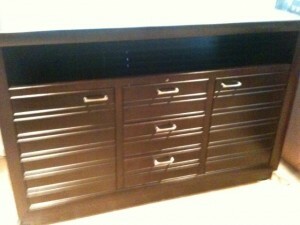 TVLiftCabinet.com has been hard at work over the last year designing a modern cabinet that can hold up to a 60” TV. The result is the Concord TV Lift Cabinet. 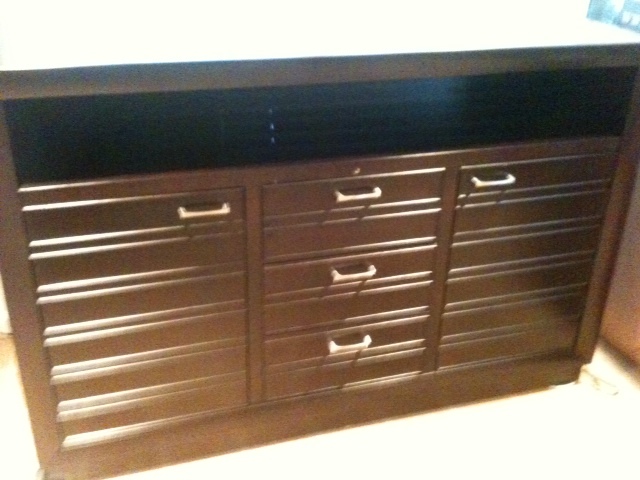 This sleek, modern cabinet is stained is a clean espresso finish with brass nickel drawer pulls. The Concord features a 56 3/8” x 16 ¾” x 7 1/8” cubby opening that can be used to store a sound bar, showcase family photos and artwork or display video collections. The Concord also has plenty of storage with two cabinet doors opening up to stacked adjusted shelves and three center cabinet drawers. Our Infrared Relay System is built in to enable TV Viewers maximum enjoyment. TV Viewers can operate their electronics while their electronics remain hidden behind closed doors at all times. The Concord TV Lift Cabinet will be available come February.